Lori & Armen are both San Franciscans with Armenian descent. They both grew up in the Bay Area and they both attended the local Armenian Christian School, KZV, in San Francisco. That’s where they met and in later years got together romantically. Lori & Amen are a young, sophisticated dashing couple. When they came in to Hyegraph to choose their custom wedding stationery, we were more then happy to work with them. Lori & Armen were very adamant about including Armenian text in their invitations since their Armenian traditions were such a big part of their identity. We worked with them to create a very sophisticated invitation incorporating the Armenian Text and an Armenian Monogram in part created by their family member. 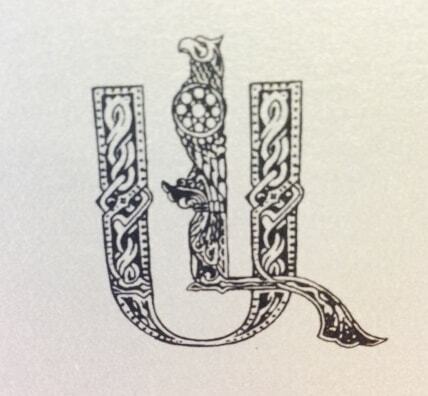 As you can see the ancient Armenian Text, the “A” for Armen and the “L” for Lori, intertwined in the center of the silver and black two layer, pocket invite from our Checkerboard stationery brand. There is a surprise element to this invitation on the back. From the front you wouldn’t know this is a “pocket invitation“, however, when you flip to the back, there is very distinguished pocket where the reception, response and accommodation card are hidden but neatly present for their guests. 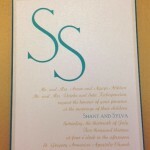 This example of a pocket wedding invitation illustrates a neat and formal look that will impress guests. The silver and black color scheme of Lori & Armen’s Dual-Language Wedding Invitation create a rich, formal appeal and suite the rest of their wedding theme. This Checkerboard design invitation with custom Armenian monogram is in two layers, silver layer on top of black backing; the wedding invitation envelope has a shimmer, charcoal lining, encased in a extra thick envelope with Geneva Flap. 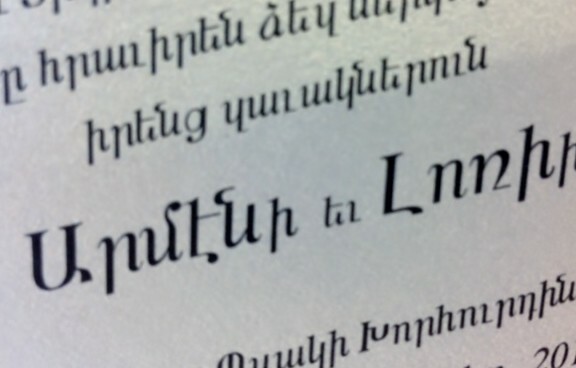 The lettering for both the Armenian and the English text is in black thermography. 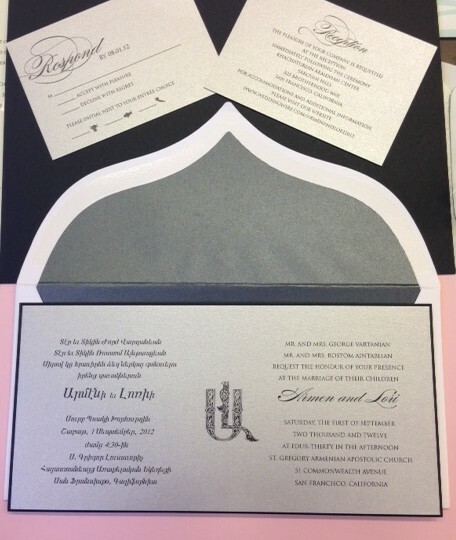 The font style for the English wording is “Trajan” for the names and “Burgus” for the body of the invitation. 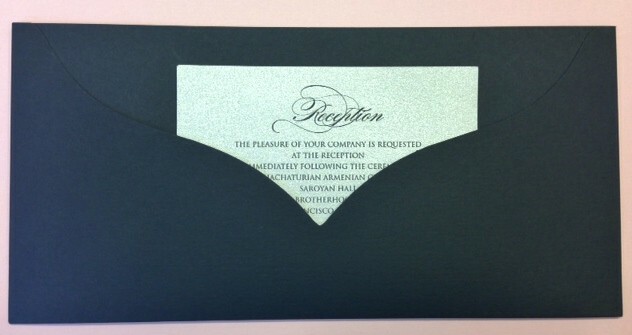 The matching Response and Reception cards are on silver shimmer card stock with black ink thermography. The Response card includes Entree Choice icons: cow for beef, fish for seafood and a carrot for vegetarian. Jacques also addressed the couple’s wedding invitation envelopes with Hyegraph’s Digital Calligraphy and printed the wedding place cards. 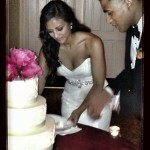 Congratulations to our couple and Best Wishes!